This is the board that I purchased for anyone interested. 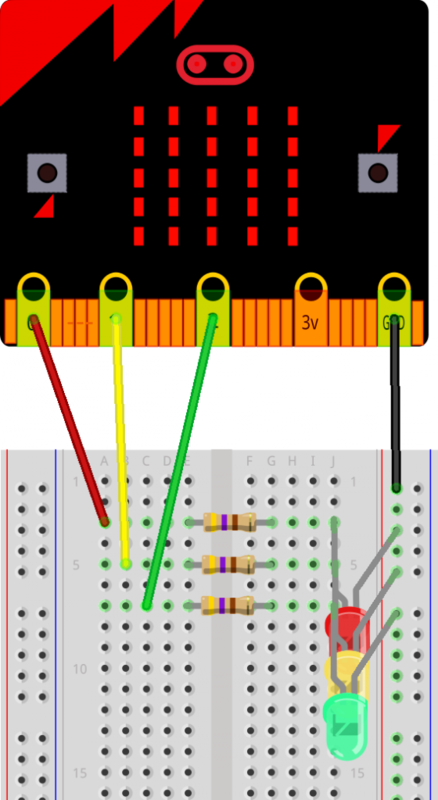 It saves a lot of messing about with breadboards, these are low cost. 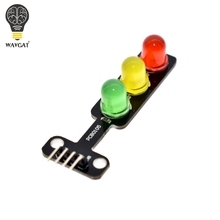 If you buy all the parts separate I have supplied some links to sources – you can buy a pack of LEDs with different colours. First of all we use blocks. We will use digital write blocks and set the pins to either 0 or 1. 0 will switch a common cathode LED off and 1 will switch it on. 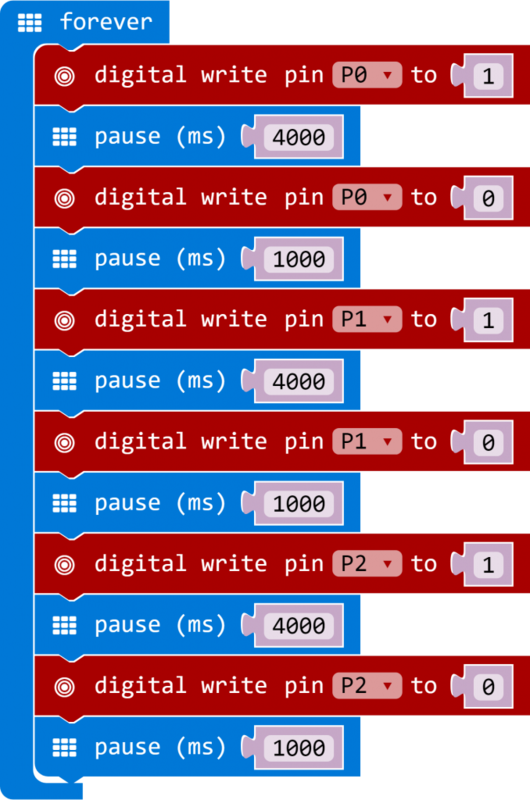 If you have your Arduino IDE setup so that you can use it to develop and program your micro:bit then here is an example for you.